Two weeks ago I showed you a huge junction in The Hague, which was actually only one junction in a much longer route. This week I’d like to show you the rest of the route I cycled in The Hague to visit my uncle in a home for the elderly. It was the first time for me that I went to this place. So, for this unknown ride, I planned a route in the Cyclists’ Union Route planner from The Hague Central Station where I arrived by train from my home town and where I would rent a Public Transport-Bicycle (OV-Fiets). The entire ride at normal speed (for the short sped up version see link at end of the post) Turn on ‘annotations’ for my remarks about what you see. I will now share some of the things that struck me during the ride. Contrary to my nature of seeing the positive mostly, this time I focus more on the negative aspects. Even though there are relatively few in this long ride, they are what stood out. Some of the traffic lights took a very long time to get green. In the far distance at 00:45 you can already see that one is red and two women are waiting. They wait impatiently (pushing the button several times extra) until finally at 01:55 it gets green. They had been waiting for at least more than a minute. This is unacceptably long. It provokes bad behaviour: and indeed two pedestrians and a moped go through red and who can blame them. On top of that, the second light to cross traffic in the other direction, that we reach at 2:13, is not coordinated and we have to wait yet again! Even though it is only 15 seconds this time, a second wait is even more unfriendly for people on bicycles. Everything is then alright until at 5:23 the cycle track ends and turns into a cycle lane that is almost invisible because of the faded paint. Cycle lanes like these are totally useless and feel like there is no cycle provision at all. At this point I have to merge with heavy traffic that is getting in the right lane for a huge junction a bit later. This is 1960s design of which only very few examples have survived to this day. At least the ASL (Advanced Stop Line) at 5:50 is respected by the driver and kept clear. From 6:35 there is a ridiculously dangerous left turn. (See aerial view below, marked with 1 and the picture above.) I have to go right over tram tracks and be careful I don’t get caught in them. Those tracks are combined with a right turning lane that I must cross while a driver who failed to give me priority drives there to go straight on! I need to cross that lane to position myself in the side street to cross the street that I was originally riding in, after which I can finally continue my journey. This is very bad design! It is allowed for cyclists to use the left lane to go the left, but I only saw the sign instructing me to go left when I was at the position of the far right cyclist. The directional sign can be seen just over the most right end of my red line. It is a blue-white pole with a white sign with red letters. Two dangerous left turns and missing separated cycling infra (red). Enough to make me choose a different route next time. The second dangerous left turn. 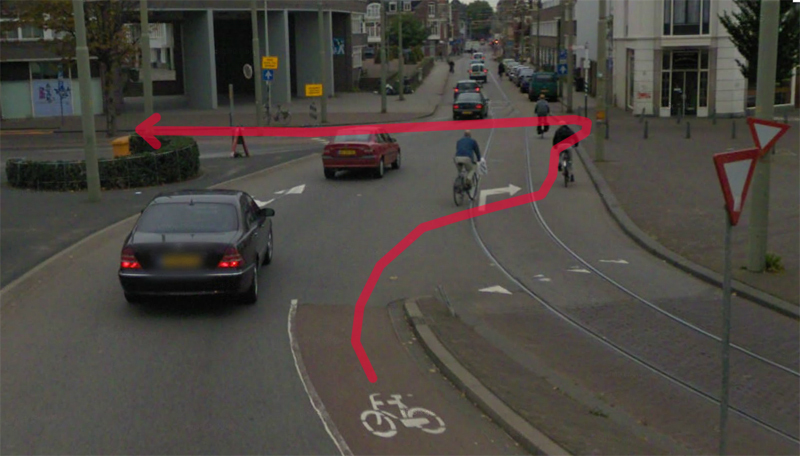 There is no room to stop safely and wait for a clear street to cross to the cycle track to the left. A short time later there was a second dangerous left turn (marked with 2) to get to a cycle tunnel under the railroad tracks and the Railway Station “Den Haag Holland Spoor”. Due to the parked van it was hard to find a spot to stop safely to see if I could make that left turn. These two horrible left turns alone will make me take another route the next time! From 10:40 there is a detour. Interestingly enough the layout for the detour is how the street was until at least 2008 when Google took its pictures for StreetView. As can be seen below, the street had two cycle lanes on the outer side of the street. This was changed to a bidirectional cycle path on one side of the street somewhere between 2008 and 2012. Google Streetview shows Waldorpstraat in 2008. There are narrow cycle lanes on the outer sides of the street. This still shows the same part of Waldorpstraat in 2012. The cycle lanes are replaced by a modern wide bi-directional cycle track on one side of the street. A bit further down the same street that new bidirectional cycle path suddenly ends (at 14:10) and we are back to street design of the 1960s. There is no cycle provision at all anymore! Something you really only very rarely see nowadays. Even though it is only a short stretch of road, it felt very uncomfortable. It is good to see the street is mentioned in the cycle plan of the city for 2011-2014 as a project for updating. (link to pdf in Dutch only.) The city must do something about this street because due to the enormous width and parked cars (contradicting signals) it is totally unclear what type of street this is (through street or residential street). Under the sustainable safety regulations that is the first requirement and it is clearly not met yet. Extremely old fashioned street design in the second part of Waldorpstraat. This street is on the list to be updated. Fortunately from 15:40 a cycle lane begins again, that very quickly turns into a cycle track. A crossing takes us to the other side and there is a bidirectional cycle track again. Not very wide, but at least shielded from motorised traffic. The rest of the video then shows modern cycle tracks as we have come to know them in the last 10 years. Paved with smooth asphalt, wide and easy to ride on even at high speeds. I have visited The Hague before. there is a post here that shows it is really a beautiful city and there is an even earlier video here. Link to the shorter version video of this ride. The Hague has a new multi-annual plan (“Meerjarenprogramma 2015-2018”). The quality of the lanes will be improved, new bicycle routes (“Sterroutes”) will be added and new parking facilities will be created. Still much needs to be done to bring The Hague to the level of cities like Utrecht, Groningen and Den Bosch. Thanks for visiting The Hague. When you have time, go to Kijkduin from Centraal Station. 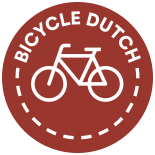 Having arrived in Kijkduin you can reward yourself with cycling on the cycle lane through the dunes to Hoek van Holland (Zandmotorpad). Den Bosch is NOT the same as The Hague (Den Haag)! I really should pay you a compliment! Risking your life to visit your uncle! I mean, there are no other words to describe cycling along Hofwijkplein (the situation at 6:35), through Stationsweg (after that left turn) and through Waldorpstraat (9:22 and onwards). 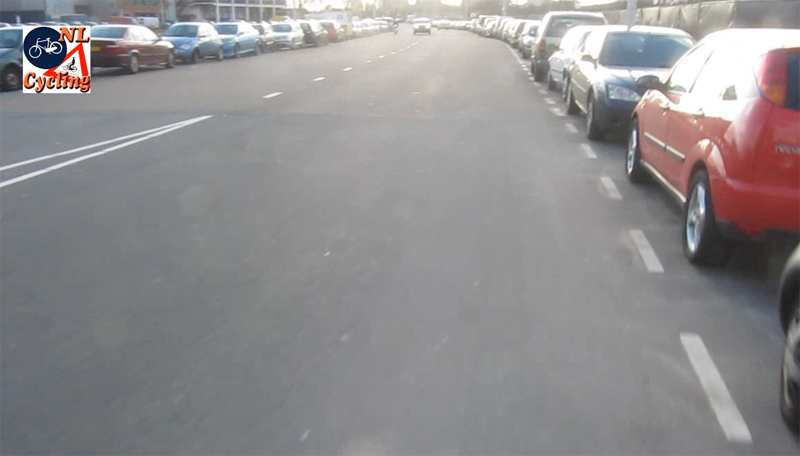 From your video, I get the impression that you feel the situation in The Hague for cyclists is steadily improving. But unfortunately, some of the most ridiculous situations you came across are brand new. I happen to live in the same street as your uncle, so I noticed. Whenever I have to travel by train in the direction of Utrecht, I cycle to Voorburg Station. I think it’s a bit of a detour (one has to cycle through all of Rijswijk), but I strongly prefer that to cycling to The Hague Central Station. Apart from that, it’s a nice route. The only disadvantage is that intercity trains don’t halt there and I’m not sure if you can rent an OV bike at Voorburg Station. Thanks a lot for your video! Interesting to see so much on-street vehicle parking. It was pointed out to me recently that if the city of Los Angeles would remove on-street parking on streets downtown, then bike lanes could easily be installed. I see two problems with that solution. One, where would delivery vehicles be parked? And two, if its a unprotected bike lane in a busy downtown area, drivers will use the bike lane as free parking. That’s demonstrated by police vehicles regularly being parked in a buffered bike lane in front of police headquarters on First St. downtown. Seeing a car parked attracts other drivers to do the same. A solution may seem to put barrier protected bike lanes downtown. But, the Los Angeles Department of Transportation still views barrier protected bike lanes as a experimental procedure. The Hague is kind of a schizophrenic town when it comes to bicycle infrastructure. On the one hand, there’s some very good stuff (the Mient route in the west of town is a joy to ride), and the council certainly talks the talk (they were one of the first major councils to commit unreservedly to replacing tiled cycle paths with tarmac ones), but on the other hand it has two of the worst roads I’ve cycled on in the Netherlands: Maanweg and Neherkade (both of those roads have perfectly fine cyclist alternatives a hundred metres south, but they’re poorly signposted and do not serve the few businesses that are actually on those roads themselves). Hi: Thanks for your work. I was wondering if you have seen two recent articles in “De Groene Amsterdammer” both by Tracy Metz ( published on 1/16 and 1/22 /2013) and dealing with the problem of having too much bicycles in a town? How is that for a contrarian view of reality? It is interesting too see how bicycle infrastructure evolved over time and not just appeared perfect out of nowhere one day. But apart from that they really should update those crappy parts, especially the one when you had to merge with the right-turning lane and cross the tram rails at the same time. That was really something. Thanks for covering bad infrastructure! 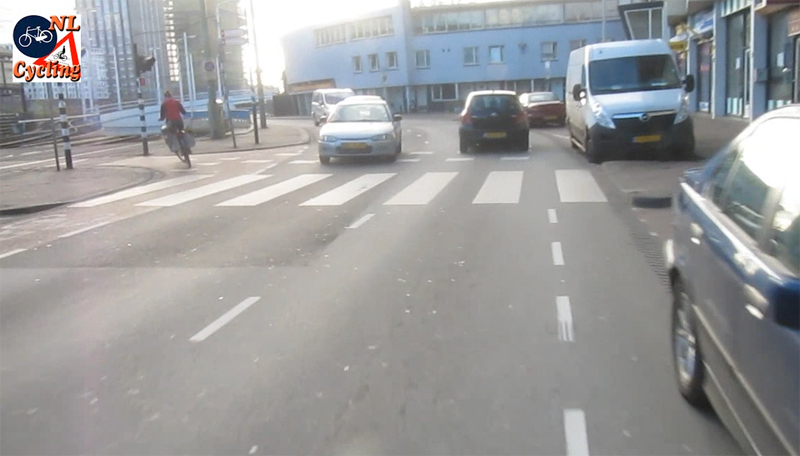 In this video I was a little surprised to see such little bicycle traffic, compared to other modes. Perhaps it was the time of day you were cycling? Or maybe the route you selected? Maybe I just have unrealistic expectations since I often think to myself that with that kind of infrastructure everyone and their dog would be riding all the time. The route I take today, has the least crossings, so appears to be the safest. But it is sad that is has to be like this. I ride some longer trips as well every now and then. Sometimes I commute from my girlfriends place in Rotterdam to my work in The Hague. 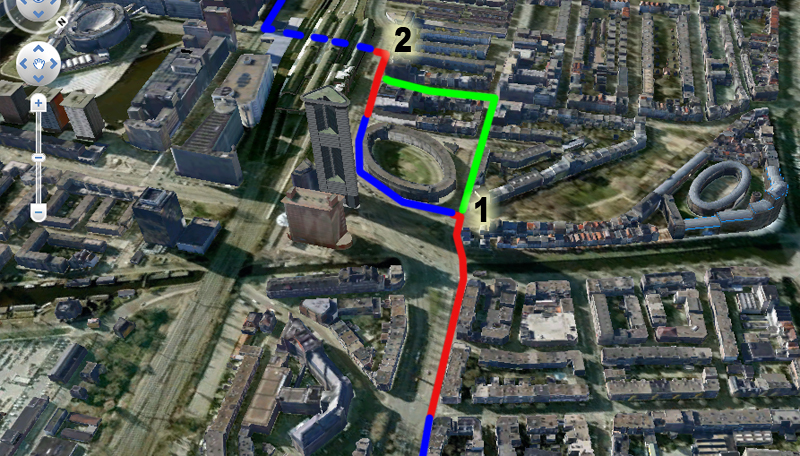 Then I have to cross the Kleinpolderplein junction. That’s four highway exits and acces ramps, and a regular street. There are no traffic lights, and as a cyclist, you obviously have to let the cars pass first when crossing one of the lanes. The last four times I was there, I counted the times cars let me pass first. 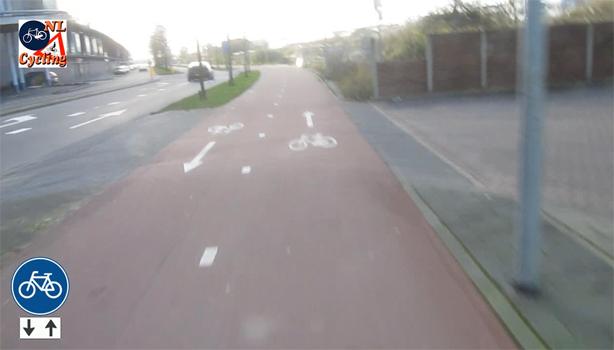 80 PERCENT of the Rotterdam drivers let me pass first. No lie! 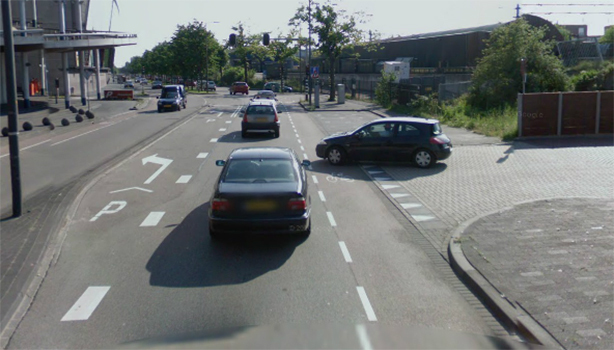 Very nice to see that you also critize situations like this even in the cycling-paradize of the Netherlands. Claiming that everything was alright would just be silly propaganda. Interesting how you feel about the part beginning 14:10, where there is no cycle track. In my hometown Munich, there is a lot of old crappy cycling infrastructure, so that even the cycle-club and the police recommend not to use it and ride on the road instead! If you are used to do so like me, and keep clear from the doorzone (which I’m not sure if you are doing correct), it feels a lot better and safer then a ride on a 80cm wide, only marked cylce-strip on the pavement alongside the co-drivers doors. Not only does it feel better, it is also proven to be safer then to ride on crappy, narrow cycletracks on the pavement. However, I appreciate the Netherlands efforts to design confortable and safe infrastructure for cycling, because it makes cycling attractive to evereybody and not only to young men like me who don’t fear sharing the road with motorized traffic. I didn’t want the journey to end. Loved watching it. I’m really surprised that even with all that infrastructure some people still break the law/rules, (doing a salmon, crossing on a pedestrian crossing etc.). Without the thumbs up and down it would be nigh on impossible to see where some of the infrastructure is lacking in some way or being used wrong. The cycle paths are so wide that many give the impression that they are two way until you point out a salmon. We are so used to cars being parked everywhere in the UK that until you pointed out the vehicle was parked illegally I wouldn’t have noticed. Although the Dutch would call that infrastructure far from perfect, here in the UK we would think we had died and gone to heaven if we had that. 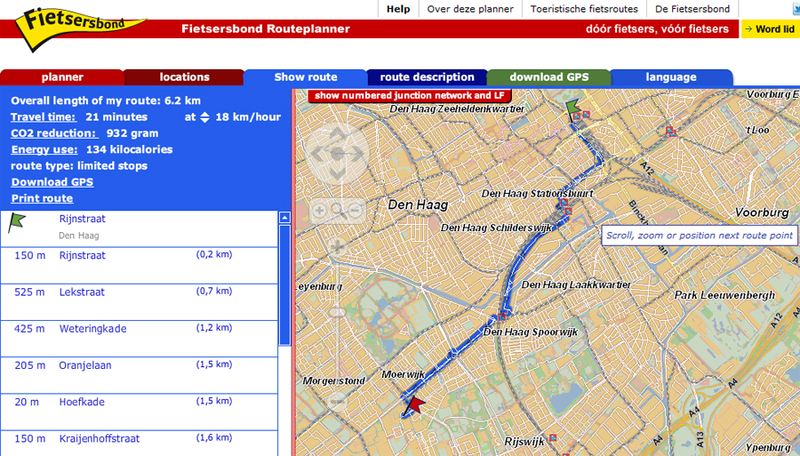 I actually liked the focus on the negative aspects of this route in the Hague. Doing this highlighted the good infrastructure without you having to point it out. When watching the video I found that I could recognise the good sections of cycling infrastructure on my own. I also find the thumbs up/down symbols about behaviour very useful. And finally, a post of yours that doesn’t leave me completely depressed about the poor on-road cycling conditions in my city (Adelaide, Australia – host of Velocity in 2014)! This entry was posted on 24 January 2013 by Bicycle Dutch in Original posts and tagged cycle paths, Den Haag (the Hague), infrastructure, NL is not perfect, ride.